An Online Travel Agent (O.T.A.) shows customers a varied selection of holidays that are generally an aggregation of screen scraped data from 1st Tier supplier websites such as Ryanair, EasyJet, AA, WestJet, Hertz, Avis, Hilton, Marriot etc. These OTA’s permit Users to book a flight, hotel, car hire, insurance, transfers and other sundries without visiting the website of the actual provider. 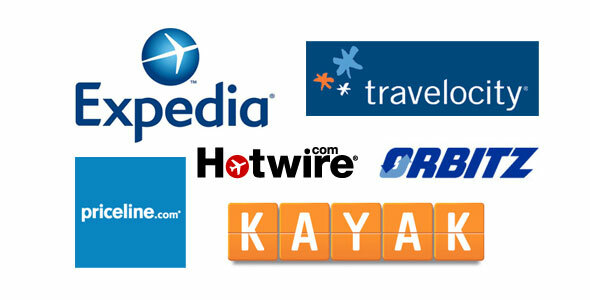 Example OTA’s include Expedia, LastMinute, Opodo, GoVoyage, BravoFly, LowCostTravel, Travelocity and Priceline. Expedia generate $787 million p.a. (Expedia 2012), BravoFly generates €1 billion (PeHub 2012) and Amadeus €2.7 billion (Amadeus 2012). Notably these companies do not own nor are they the 1st tier providers of any of the products they sell. They simply package and mark up YOUR product and sell it on. Some primary service providers (airlines, hotels) sign up to a ‘Global Distribution System’ or ‘GDS’ (a data warehousing system), i.e. the ‘Amadeus’ GDS system holds itineraries for more than 490 different airlines (Amadeus 2013), ‘Sabre’ holds itineraries for over 300 different airlines (Sabre Airline Solutions 2013) and ‘Navitaire’ holds itineraries for more than 50 airlines (Navitaire, 2013). The OTA (via paid subscription) accesses the subscribed GDS in order to extract legitimate lists of airlines and flights matching their Users request, but since different airlines are subscribed to different GDS systems – in order to see every possible flight for every possible route it would be necessary to subscribe to every GDS – an expensive operation especially if they could get the same information for free by NOT subscribing to a GDS at all.